Have you always dreamed of being a rock 'n' roll star? ...Fancy being part of a band...but don't like the idea of rehearsals, lugging all that heavy gear around, not to mention the exhausting task of fending off all those groupies? Why not just become an honorary member of the ACB instead? 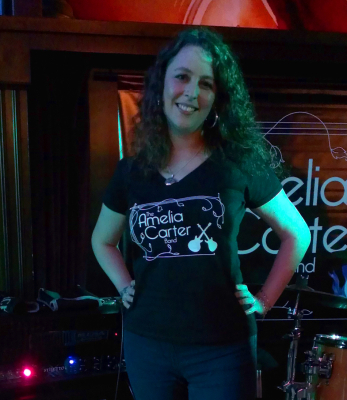 We now have band t-shirts for sale! Send me an email, Facebook message, or come and ask us at a gig for your order to be taken. This is the Ladies' fit v-neck t-shirt. 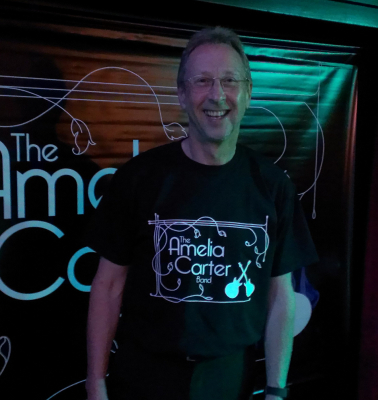 Here is the lovely Paul modelling our Gents' style band t-shirt. Any guitar players out there? 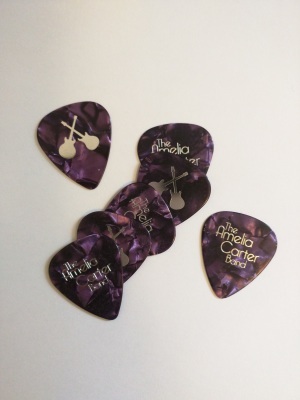 Ever fancied an ACB plectrum?